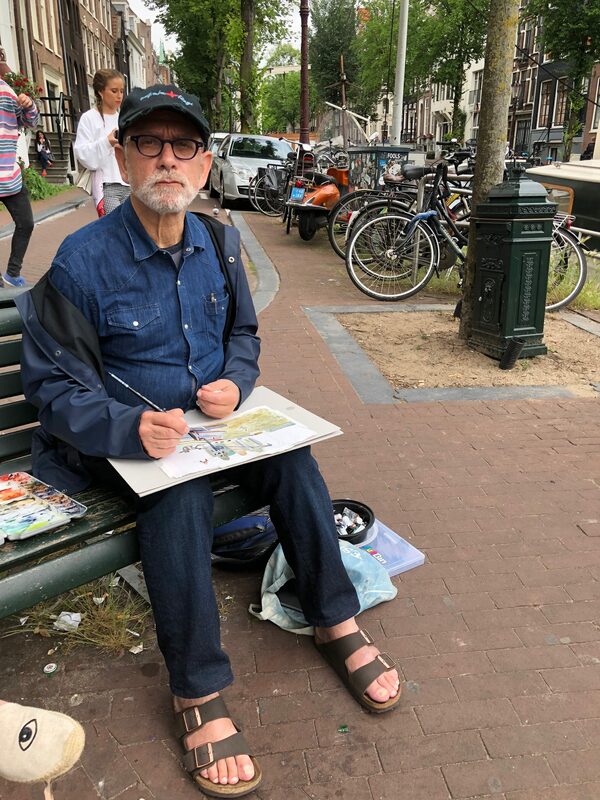 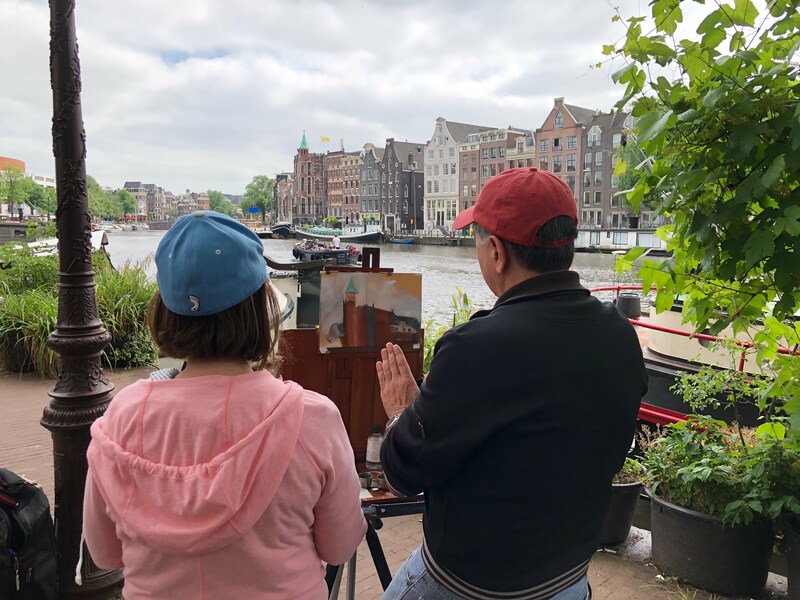 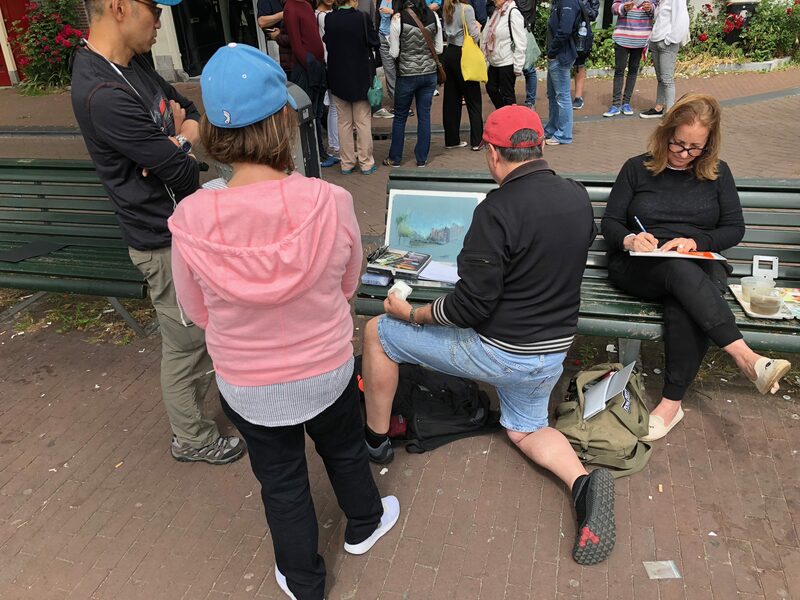 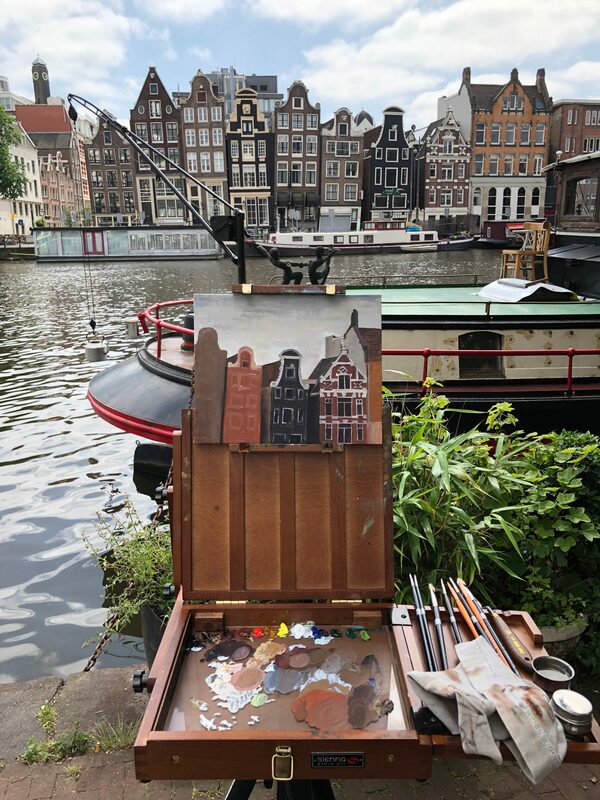 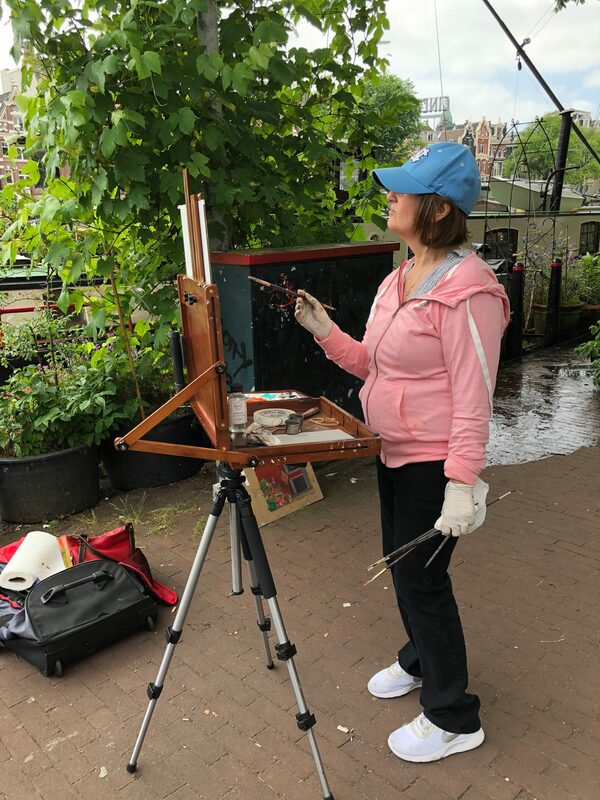 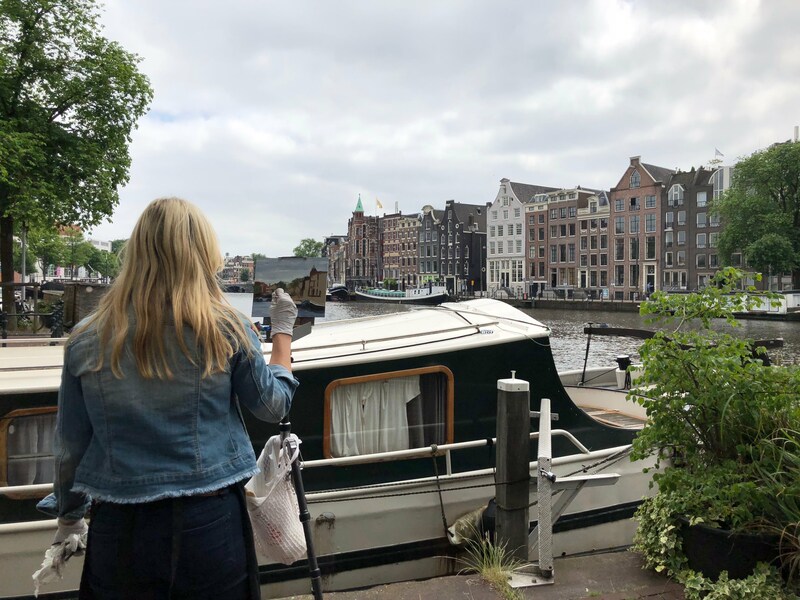 Second day of drawing and painting all day along the Amstel River. 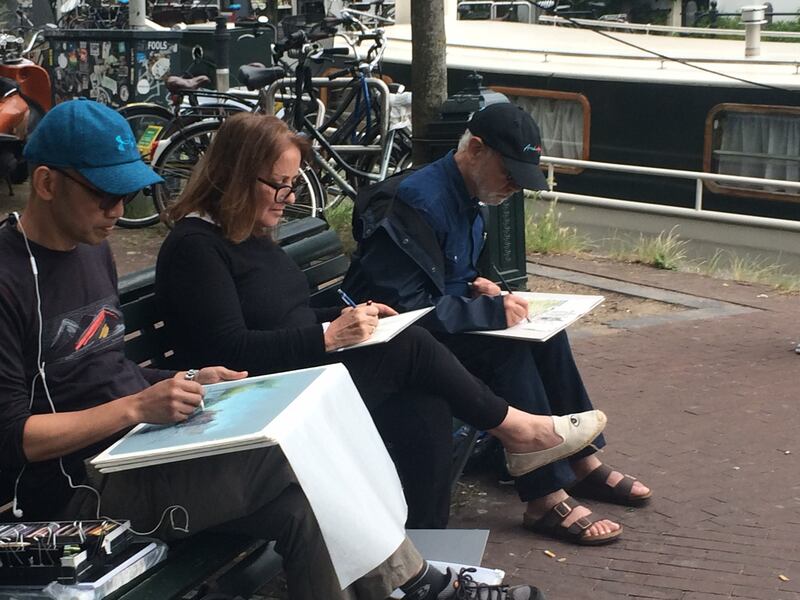 Kenny, Robin and Larry in full concentration! 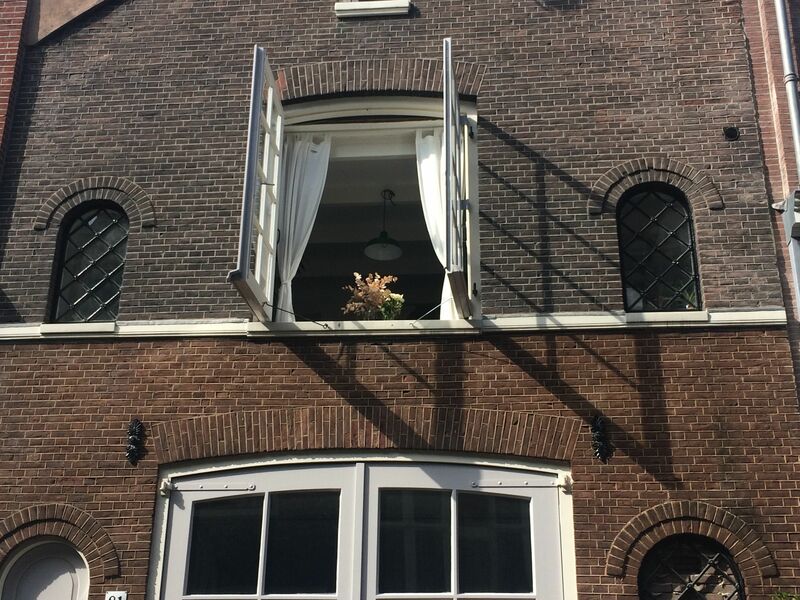 The Dutch are known for their open attitude. 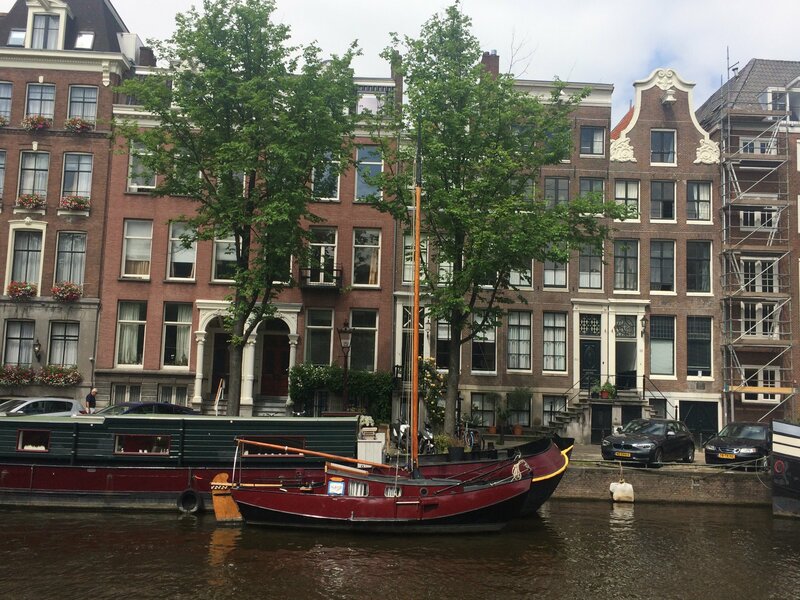 They do not close their curtains, so you can get glimpses of some interiors where one can even glance some domestic activities of the inhabitants but, of course, it’s not polite to stare!